FootballX is Nike's collection of top-tier boots remixed for hard court and turf surfaces. The "X" stands for the total number of players on the "pitch" for a small-sided game. The collection includes the MagistaX, MercurialX and HypervenomX all featuring the recycled Nike Grind rubber soles to improve durability on high abrasion surfaces. Extra cushioning has also been added throughout the boots for more support on hard surfaces. The HypervenomX is the newest boot of the pack with an understated black colorway. 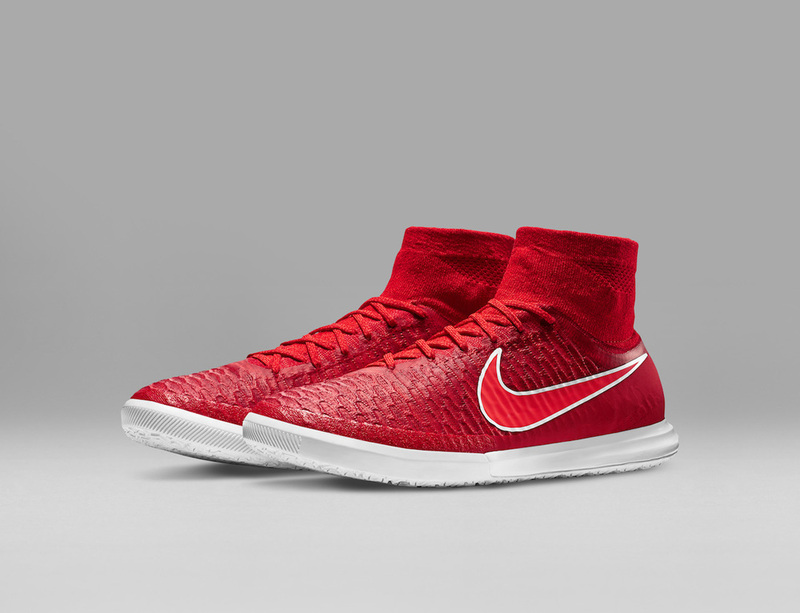 The MagistaX is featured in a bright red and white, and the MercurialX gets a flashy gold coating. The MercurialX Proximo IC will be available in The Soccer Shop in adult sizes in mid-october.